This review would introduce to you a company, the McAlvany ICA, in the gold IRA market. In case you have no idea about what gold IRA is, let me give you some basic explanation. 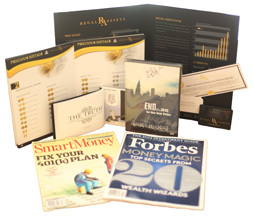 Gold IRA is the promising market working to help you not only protect your lifetime money from the devastating effects of the unstable economy and hyperinflation but also to gain benefits from them. Let’s see how this company’s strategy would benefit you as well as your business in our review below. First, don’t expect anything about this company’s website.The McAlvany ICA website won’t help you much to determine its inventory. Although it does have some interesting features such as the market charts and a storage collecting all the articles concerning gold, silver and IRA (some are quite long and boring in my opinion), I could not find anything more specific about their USP or unique selling proposition from the rest of the boring site. Indeed, I have managed to find some information about their company. Basically, they are precious metals dealer working to help you protect your metals in safe vaults in Switzerland and Toronto. Well that is all I could find about its services. In addition, this is the statement quoted on their website: “Partnering with our clients to preserve and grow wealth throughout through the generations”. Although this sounds like those words of a consulting service but I couldn’t find anything similar on their website. To sum up, if you seek for a precious metals storage, then the McAlvany ICA could help you a little bit. However, regarding other IRA services, I recommend you look for other options. This part is normally reserved for the customers’ feedback aiming to help us understand more clearly about their services’ quality. Unfortunately, I fail to find any review in this section. This is not really surprising as the company appears to be not very transparent about their activities. Actually, their BBB score was available. It is an A+ but not for the McAlvany ICA. BBB classified it as International Collectors Associates Ltd, so this is my guess: either it is the same company as International Collectors Associates Ltd or it is parent company or something like that. To score accurately and fairly, you must depend on certain criteria which are completely unavailable in this case. Mcalvany ICA clearly shows that it has no intention of providing more information about its activity, making me to give it this painful score: 0/10. This score does not say that this company is not a good one but rather a warning for its uncertainty. There are two assumptions in this case: Mcalvany ICA could be an amazing company or it could be one lying at the bottom. However, there is no way to find out until you do business with them, which is such a great risk that I would never accept. Therefore, my recommendation: find another company for your gold and precious metals IRA business.